I believe that John Wesley’s vision for the Methodist movement can be boiled down to two foci, or what I like to call vectors. When he sent his preachers out, he said, “You have nothing to do but to save souls.” This is the New People Vector that I dealt with in last week’s blog. It’s an exclusive priority. You can’t say, “use all your energy to save souls,” and say “this other thing is just as important.” But, there was another fervent side to early Methodism. They also formed small groups to nurture individuals to become effective disciples. Wesley taught his group leaders to ask, “How fares your soul?” This represented another vector, running perpendicular to the all-in for evangelism vector. 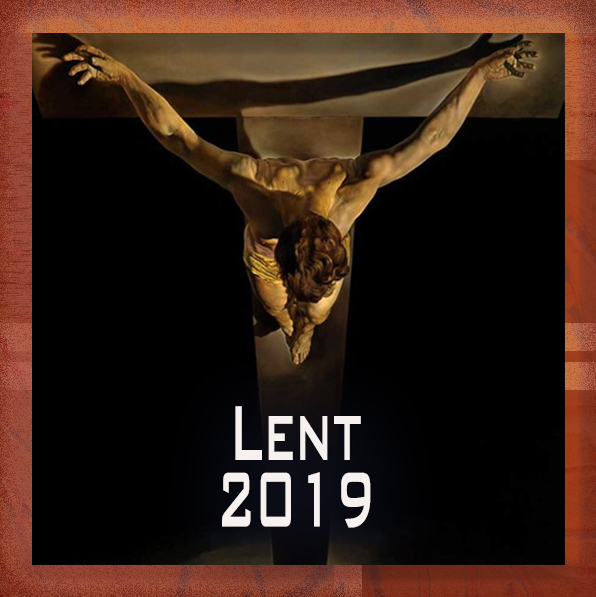 The idea is that you, as a church leader, have nothing to do but to save souls, and you must nurture the people in your charge so that they become transformed individuals, capable of changing the world for good. 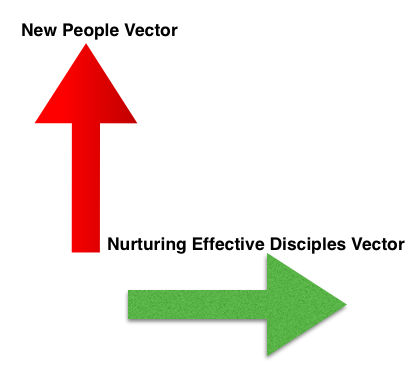 Both of vectors, new people and effective disciples, face outward. They share an opposition to the church’s default position. Left to our own devices, we would focus on making our own people happy and we would channel all of our resources inward, satisfying the whims of a selfish few. The problem with the New People Vector, is that it forces our shy and self-satisfied members to witness to their neighbors. The problem with the Effective Disciples Vector is that it asks the Holy Spirit to fundamentally change us. When the day of Pentecost came, the first church members were forced out of the safe upper room and onto main street. There they had to sharpen the spiritual gifts that God was providing and set to work transforming the world. Nurture shouldn’t lead us to cloister with those we know and sing Kum By Yah. Witness can’t be a matter of standing with other believers and saying the Apostle’s Creed. How are we taking scripture to heart every day and letting it guide us in our interactions with others? Are we praying with the expectation that our prayers will change real things in the real world? Are we becoming Christ-like in our compassion for the plight of others? How can the good that we do be measured, so that we set greater and greater goals for ourselves? Is the joy that we experience in our small groups leading us to be more effective witnesses for Christ throughout the week? Is our worship inspiring enough to overcome our natural timidity about religion? Is our gathering together and our organizational work being done for the glory of God? Balance in church life is the enemy of Spiritual Passion. We must be totally committed to reaching new people for Christ and be serious about becoming the best disciples that we can be. The Spiral Rule* teaches us that Churches that face outward go upward, congregations that focus inward, shrink downward until they become a selfish singularity. Often, those who call for moderate and balanced policies, really want to take the church inward and downward. Every budget line item should be evaluated on how it helps the church move outward into the community. A item on the church council agenda should only be given consideration if the proponents can state how this action strengthens one of the two Vectors.